As you may know if you’ve ever wandered into my kitchen, I have a little team of kitchen gadgets lining one work surface. Not piles of unused, cast aside rice cookers or similar. Oh no, these are carefully chosen and used almost every day. There’s my Magixmix, my KitchenAid and the Dualit toaster. I really believe that it something is going to last you for years you should buy well and buy to last. As they are on display and I spend most of my days loitering around the kitchen, I also think they should be easy on the eye. There’s toast in the Dualit (of course), coleslaw, salads, chopped vegetables in the Magimix and cakes, meringues and dough in the beloved KitchenAid. Well, we have a new daily use machine in the line up. The Froothie has joined us. The Froothie is a super power blender. 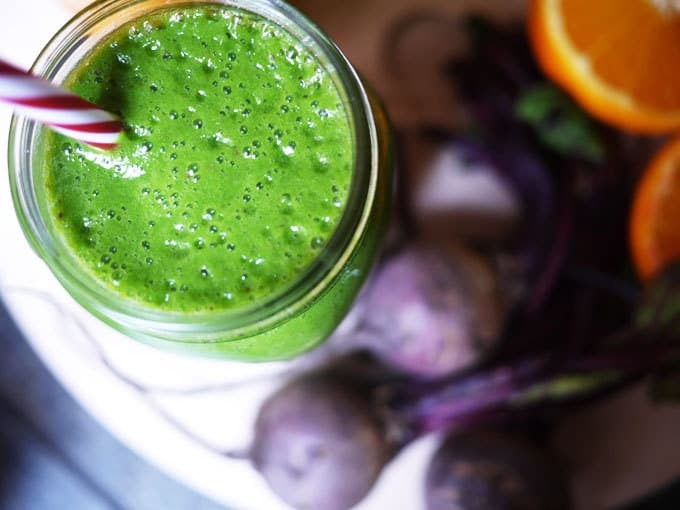 I discovered green smoothies a couple of years ago when I took part in the Green Smoothie challenge with Simple Green Smoothies and I’ve drunk them ever since. As you may have noticed around here, I like cake. A LOT. I feel that some good stuff every day in my diet balances this out a bit. So, I’ve been blending smoothies for a while, but with my, ready for this? £5 Blender from Tesco. I didn’t invest much when I started in case smoothies were a fad for me. So, I was over the moon when Froothie asked me to try their blender and join their team of UK ambassadors. I can honestly say, this machine is a beast. I had no idea how different smoothies would be when made in a power blender rather than my very basic blender. They are smooth, silky, much more like thick juices than the slightly gloopy, grainy smoothies I was used to. The children adore these juices too, it’s brilliant to see how fascinated they are with the blending process and then totally amused by the naturally nearly neon colours we’ve made. Why is it that children are happy to eat or drink anything, as long as it’s a lurid colour?! Using ice in smoothies, it blends it like a dream. The timer buttons, when the children are running around, I just press one button and it blends for a set time period – so handy. The tool to press down and stray bits that are getting blended. SO useful. The ease of cleaning. You just add some water, pop the blender on for a few seconds and you’re done. I feel I should offer some negative points to make this a balanced and fair review but I really don’t have any about the machine itself. It is, dare I say it, life changing. The only set-back of the machine is that it’s not cheap at £379 (currently on offer from £429). I have to say though, I paid a similar amount years ago for my KitchenAid and it has never failed me, even after daily use. Also, by way of comparison, in line with the chart above, the Vitamix Pro 500 is £599! I really believe that paying for quality, and in this case, something that is key to a healthier lifestyle to us, is the right choice if you’re able to. 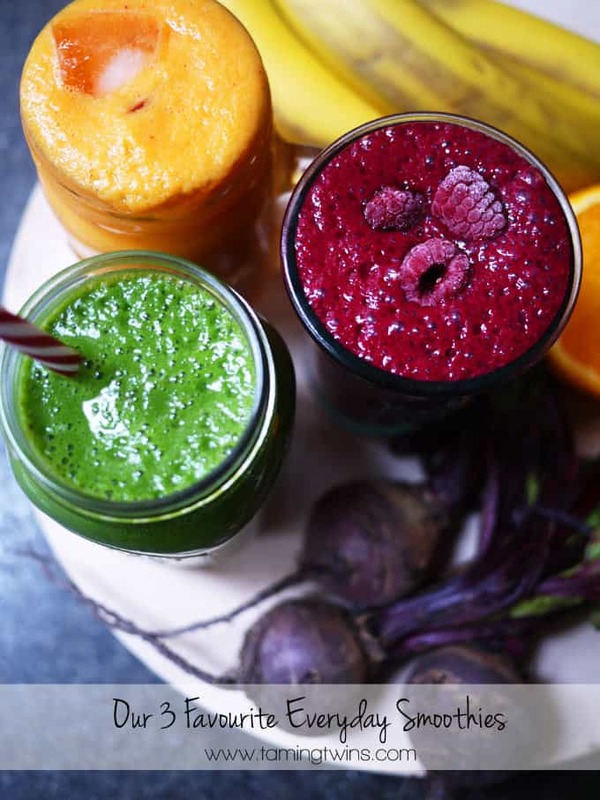 Here are the recipes for 3 of my favourite smoothies at the moment. 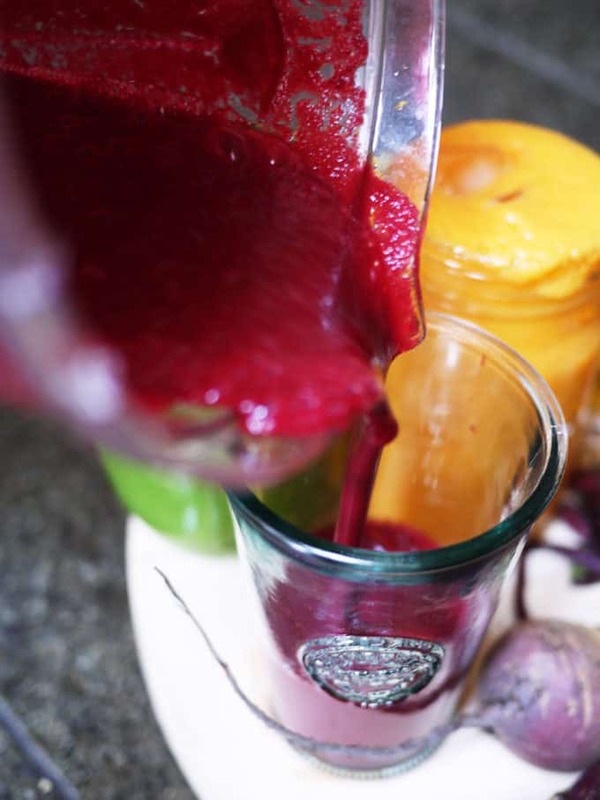 I’ve never been a fan of vegetables in smoothies before as in my old blender they were something like lumpy, cold soup (sorry old faithful £5 blender). In a power blender they are completely different. A great way of getting an extra portion of raw veg in before I’ve even started the day. A delicious and refreshing orange smoothie to start your day with. Blend until smooth and serve over ice. Blend the water and spinach for about 30 seconds until like green liquid. I like to garnish with some extra frozen berries. Are you a blender fan? How do you squeeze extra fruit and veg into your diet? Do you think smoothies cancel out cake? I’m very happy to be a Froothie ambassador. That means that I am provided with a Froothie blender free of charge and I also receive a small commission if you buy a blender through my site. I am not obliged to provide a positive review though and all opinions are my own and truthful. These all look beautiful, but I am especially a fan of a green smoothie. I start my day with one every day. 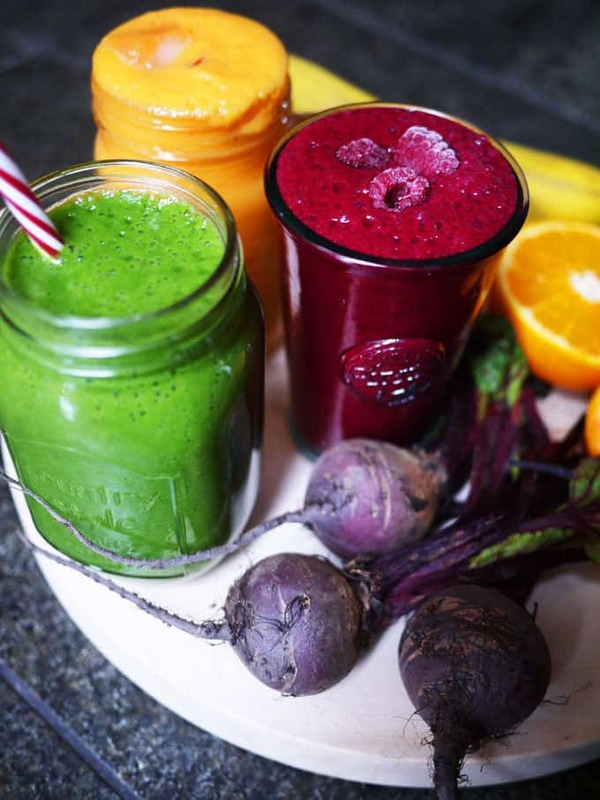 wow those smoothies look gorgeous! 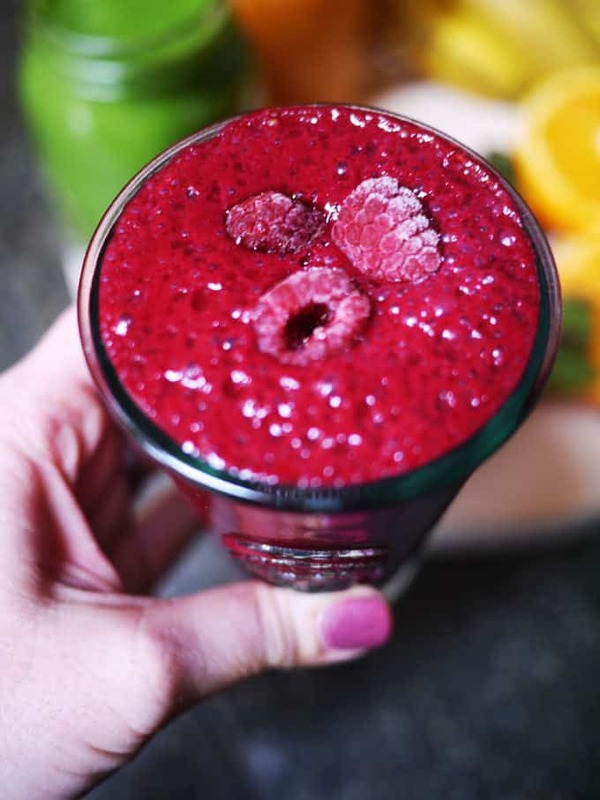 Beautiful smoothies and great review Sarah. It sure is a fabulous beast! I have just pinned these to try S and I need to have more beetroot in m diet. 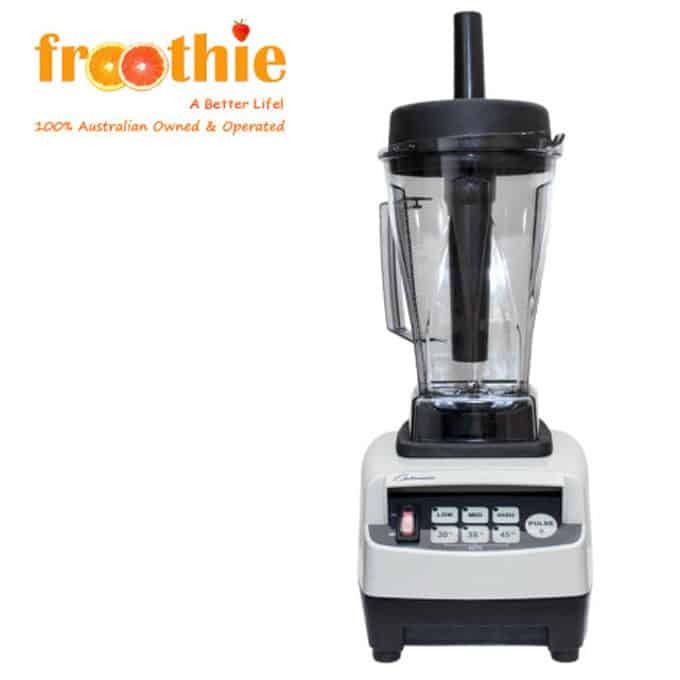 We love our Froothie, it’s become a key appliance in our kitchen, for the reasons you mention. It’s quick, very powerful and not too noisy either. I love it for making custard, as an ice cream base and of course, in summer being able to freeze fresh fruit and make instant sorbets is fantastic. Isn’t the froothie wonderful? I’m able to do so much with it that I never could in my old blender and as you say, the smoothies are so, well smooth! Love the trio of bright colours you’ve made and they all sound quite delicious. Your pictures are gorgeous! And the smoothies sound delicious. I have the 9400 and love it but the timer buttons on the 9200 sound pretty useful.